Worrowing Estate is a 250-acre private Estate located just minutes from the renowned white sandy beaches and turquoise waters of Jervis Bay. 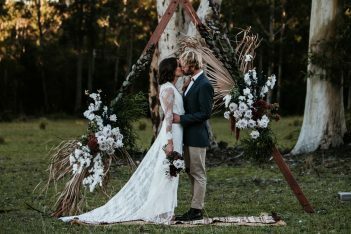 With plenty of wide-open space and accommodation within walking distance from the wedding ceremony and reception venues, Worrowing is an beautiful coastal venue with a country feel just 2.5 hours south of Sydney. Worrowing’s landmark Georgian style Homestead and magnificent gardens have inspired a collection of 12 private self-contained holiday houses, cottages, eco studios and boat houses which dot the surrounding hillside of the property and offer a unique location for those who would like to escape to a private retreat. 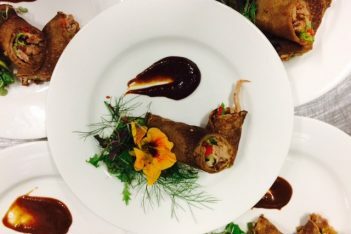 Worrowing offers a variety of options for weddings. Originally a Poll Hereford stable complex, ‘The Shed’ at Worrowing has been renovated for wedding receptions and events. The venue overlooks a private lake, rolling pastures and is surrounded by natural bushland. ‘The Hereford Shed’ is a versatile space that can cater for large or intimate occasions. Guests have the flexibility to choose how they would like to use the venue space according to their needs. The Shed is positioned in a private location on the property with access to our new barn wet-weather space. Worrowing’s Georgian style homestead and formal gardens provide the ideal location for an elegant garden wedding. Couples may have private use of the gardens for their wedding ceremony. Marquees can also be set up adjoining the secluded garden on the estate grounds for the reception. For smaller groups wanting a garden wedding, long table arrangements may be set up in the gardens under the stunning tree-lined path. Marquees can also be set up at a location of preference at one of the many picturesque positions amongst the beautiful eucalypts which are scattered across Worrowing’s 250-acre estate. Worrowing Estate accommodates up to 41 people in the 12 uniquely appointed houses, cottages, huts and boatsheds on the property. We can also accommodate any extra guests at private properties situated nearby beach properties at Jervis Bay. Glamping is now also available. Worrowing Jervis Bay is an independently owned accommodation business on the South Coast of NSW, just 2.5 hours drive south of Sydney. The Georgian style homestead was modeled on Old Erowal House built in 1840 and Worrowing is now one of the few existing rural properties in the Jervis Bay area. Owners Adrian and Jenny Robertson designed and built the 12 cottages, eco huts and boatsheds situated on the property, with the aim of instilling the natural beauty of the property’s surrounds. The estate has catered for many Jervis Bay events including art exhibitions and Natural Trust days. Over the years Worrowing has been worked as a poll Hereford stud and today maintains its rural atmosphere with cattle, horses, and the encouragement of the abundant native wildlife of Jervis Bay. Creative styling, decor hire, wedding planning and on-the-day set up and coordination.